We, the Arcturians bring forth our consciousness, love and blazing light to support you now. We come forth as a collective to share our power and inspiration with you. You may call upon us whenever you wish to upgrade your entire being, we will do so in harmony with your soul, using our ascension light tools and technology to create powerful and peaceful shifts of transformation within your being. We are present to assist and guide you, we will always present our light to you in support, respect and love for the ascension pathway you are travelling upon. The energy wave and cycle that is anchoring into the Earth from the inner planes can be simply summarised as the presence of clarity. The ascension energies for 2019 are promoting the presence and experience of clarity within all aspects of your being, reality and life. This means that activations will take place to support you in seeing, sensing and acknowledging with greater clarity and clearness. Being aware of your intuition and inner guidance with clarity and the ability to clearly act upon the wisdom received. Clarity will develop within your relationships especially with yourself, soul and the Creator. Confusion may arise, and this will be an indication of your resistance to the presence of clarity and the shifts it can manifest for you. In your existence upon the Earth you are a combination of your thoughts, emotions, perceptions, desires, past experiences, future expectations, the presence of your soul, soul group and the Creator as well as the influence of those outside of you in your physical and spiritual reality. You may then experience that you have a life which you engage with every day. This life may seem to have a course, energy, flow and direction of its own. Many people may feel as if their life is happening to them and they are trying to keep up with the demands of their life. Some feel disappointed with their life as if it has been allocated to them without their consent. Others may feel that they have no control of their life or that life is going well, better than they expected. Allow yourself to contemplate the word, ‘Life,’ or My Life.’ Is it a series of experiences you do not have control of that is outside your body and being? Or is it a pathway of your own creation? Humanity often thinks of their life as an energy force separate from them that has an existence of its own. If you think of your life as separate from you then you will find it challenging to experience fulfilment, contentment and peace because you are creating that your life controls you and is separate from you. Take a moment to imagine your life as a tangible thing, to give you ideas maybe a pathway, river, monster. What comes to mind as a description of your life? As we have said you are a combination of your thoughts, emotions, perceptions, desires, past experiences, future expectations, the presence of your soul, soul group and the Creator as well as the influence of those outside of you in your physical and spiritual reality. All of this creates your life, every big and little thing you experience is born from you. The way you perceive your life is also your creation. If you perceive your life as challenging and separate from you this will be your experience. If you perceive your life as your creation, precious and an extension of who you are, this will be your experience. You have built your life to the way it is now and you can change it as well. This can be challenging to receive, however, once you engage with the idea you recognise your power and how you impact your life and experiences from within you. 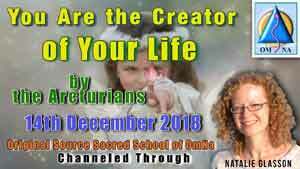 This is the major key of clarity we, the Arcturians, wish to share with you, ‘You impact, create and design your life from your inner experiences.’ Everything is connected and one in the Universe of the Creator, therefore you are connected and one with your life. Reality can describe your life, it also describes certain experiences or a series of experiences as well as the way you perceive your life. Reality is what you are actually experiencing and the way you are choosing to experience it. Reality can define the truth that you are experiencing within and outside of your being, it can be as honest or as filled with illusion as you wish it to be. Reality is your awareness of all that you are, all your experiencing and all you are creating. If you focus upon your alignment with your soul and inner essence, this becomes your reality, if you complain and only see the bad in the world then this becomes your reality. Your reality is the way you choose to perceive yourself. Your lifetime is the duration of your existence upon the Earth. This is governed by your soul and the mission your soul has accepted or wishes to achieve on the Earth. While your soul determines the length of your existence upon the Earth, the choices you make and areas you focus upon can impact the quality of your existence and can even cause the soul to reconsider the duration of your lifetime. This is only in extreme cases. Therefore, there is no need to worry about how much time you have upon the Earth, there is a need to trust in your soul and that the choices your soul makes are born from the essence of your soul and for the greatest good for you and all. Time doesn’t exist, you can recognise your lifetime as a constant series of present moments. While you cannot control your lifetime on the Earth you can recognise that you are the key creator and designer of the life you experience. The combination of all the thoughts, emotions, beliefs etc that you hold within you create your life. You can also recognise you can impact your reality which is the way you perceive, act and react in each present moment. It is now time to realise fully that you are as one with your life and reality, you are the creator and designer, your life and reality is born from within you. Observe how you think and feel about the area you wish to transform. What beliefs do you hold about the area? Are you thinking, feeling and believing from a space of love and peace or from a space of illusion, fear, anger, control or something else? Can you see how your thoughts, feelings and beliefs could be impacting your experiences, either how you act or react, what you create or what you withdraw from? Are you willing to let go of that which you have realised and create new thoughts, feelings, beliefs about the area you wish to transform? Are you willing to receive healing, from us the Arcturians? We are ready to serve you. Simply call upon our energy now to create light activations of truth, power and peace, allowing you to accept your life and reality as a creation and extension of you. Greeting and angelic love, I am Archangel Zadkiel, I am the overseer and I am the overseer and Archangelic representative of the Violet Flame and the Violet Flame of Transmutation and the 7th Ray of Light. With my feminine aspect Archangel Amethyst, we are at the forefront of ascension, supporting the new energies, shifts and transformations taking place now and waiting to manifest on the Earth. I, Archangel Zadkiel wish to create with you today an inner shift and transformation that manifests through inner reflection, realisation and observation. The purpose of ascension energies downloading into the Earth is to awaken inner evolution, with a greater sense of self and truth. In order to create within you an inner ascension and activation, I, Archangel Zadkiel wish to speak with you about two subject matters; fulfilment and truth. Many Ascended Masters and Archangels speak of supporting you in accessing your inner fulfilment and fulfilment in your physical reality. Many say that fulfilment is your divine right and is created from within you rather than outside sources. What does this really mean for you? I, Archangel Zadkiel wish to share my own perspective with you. Fulfilment is the energy, sensation, emotion and experience of being united, connected and existing in harmony with the Creator. The Creator is expressed through you and you are an extension of the Creator, therefore fulfilment is deep connection of oneness with your self and your truth. Your thoughts can cloud your perspective of fulfilment as can the influence of the outside world, especially the material world. Having a blurry view of who you are as a physical being, spiritual being and expression of the Creator can cause desires and needs to arise which are not aligned to your truth. These desires, for example, needing a new mobile phone, trying to look good, desperation to obtain enlightenment, can cause your thoughts to be jumbled and an obsession of trying to fulfil your desires to manifest. When this takes place you actually loose touch with the essence and even the experience of fulfilment. I, Archangel Zadkiel, do wish to clarify that wishing to obtain material objects or experiences is not a bad thing, nor is trying to access enlightenment, both can offer fulfilment if they are aligned with your true self and inner truth. In truth your soul gains the experience of fulfilment from all forms of earthly experiences and spiritual experiences, it is not actually the experience that awakens your inner fulfilment, instead it is whether the experience brings you closer to who you really are. Therefore, you can experience a deeper connection and closeness with the Creator through both physical and spiritual experiences. The key to accessing and experiencing fulfilment is to understand that fulfilment manifests when your connection with yourself and the Creator is enhanced. Therefore, knowing yourself and accessing your truth is essential. Realising the difference between fulfilment and what you want is also helpful. Fulfilment is to be connected to your truth and the Creator, for this to be empowered and for you to feel empowered as an expression of truth. Want, is the result of an idea created from your past experiences, perceptions and beliefs. It is an idea that seems to fix problems and yet actually distracts you from your relationship with yourself. Is this want or desire born from an expectation, a need for something or a feeling of lack of something? 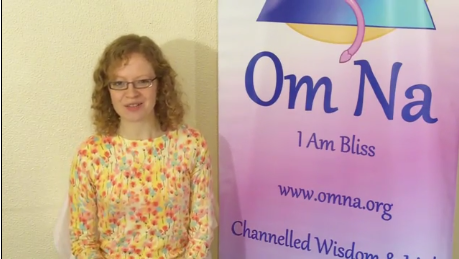 What needs to be healed or recognised within me and how can it be energetically healed? What is the fulfilment I am seeking through the want or desire? How do I feel about the want and desire now? Through this process you will understand your inner truth, who you are and your relationship with yourself. It may be that when you are in tune with yourself that your truth connects you with the same experiences you thought about as a want or desire in the above practice. The difference is that when you are aligned with yourself the experience or situation you attract or create is born already from being whole, complete and fulfilled and therefore creates further and bountiful fulfilment. A want or desire often comes from a place of lack, needing healing or feeling unworthy. Remember, I, Archangel Zadkiel, am especially speaking of experiences that impact your reality rather than small desires and wants, even though these can also direct you to where healing is needed. Recognising your inner truth, being truthful and honest with yourself and others, realising the power of your love and caring for yourself and others in a loving respectful manner supports you in growing your relationship with yourself. When you grow your relationship with yourself, understanding your inner energies, thoughts and emotions you naturally become aware of your intuition and inner guidance. Your inner fulfilment energy surges and creates experiences of fulfilment (connection with self and the Creator) which further empowers your feeling of life being fulfilling. Therefore, life of fulfilment is not about receiving what you want and desire, instead it is about living in the truth of the Creator and as the truth of the Creator. To put it another way it is to live in the truth of who you are and as the truth of who you are. Truth and truthfulness are the key to realising and accessing your inner fulfilment with fulfilment manifesting in your physical reality and spiritual growth. I, Archangel Zadkiel, encourage you to focus upon gaining a deeper understanding of what it means for you and in your life to be a loving being of truth and a truthful loving expression of yourself. A loving being of truth is a peaceful expression of the Creator, while a truthful loving expression of yourself is to be honest with yourself and others from a space of love within your being. Take time to acknowledge all the areas, circumstance or experiences in your life where you say or do things to please others even though you wish you didn’t have to. Or time when you do not say or do things because they may cause emotion upset to yourself or others. Maybe you distract yourself from inner turmoil or fear. Begin to bring truthfulness into your awareness, not necessary into your actions or voice at first. Inner awareness, observation and then contemplation is the key to recognising patterns and distractions within your being which are your own creation. The shift often needs to take place within your being, this changes your perception and your reactions to yourself and your life. The presence of fulfilment and truth naturally exists within your being and is waiting, ready to be activated and explored. Everything you seek is within you. When you recognise the presence of truth and fulfilment within your being your entire reality and even the people around you harmonise with your expression of who you are. This is the ultimate experience. It is important to realise that there is not one experience, purpose or situation in yourself that will create fulfilment for you. Spiritual growth is a process of continuous awakening and therefore continuous activations and experiences of fulfilment, that expand your understanding of fulfilment. From the Celestial Vibrations and Dimensions, I call upon the Wisdom of the Heavens to download into my being. I now reclaim my sacred wisdom, knowledge and understanding gifted to me from the Creator and because of my unique expression of the Creator. May my mind open to the expansive nature of the Creator, may my thoughts be of the purity and enlightenment of the Creator and all that I create be born from the sacred inspiration and guidance of the Creator. I recognise the divine light, love and consciousness of the Creator’s Universe is fully present upon the Earth, it always has been and always will be. The Earth and the Creator’s Universe are one, separation is only an illusion. I choose to recognise, remember and once more embody this truth, living and experiencing it fully with each day of my life. I choose to remember and experience fully now, the wonder of my physical body as an extension of my soul. My physical body is magnificent, not only does it achieve all I am aware of, my body is able to accomplish more than I could possibly imagine. My body has abilities which I have yet to access, I now choose to ignite and activate my physical body to work in the miraculous way it was designed to by the Creator. I let all forms of illness, limitations and blockages within my physical body be healed now, once and forever. I fully identify the presence of my soul as integrated and actively present within my being, body and reality. I honour my soul, the wisdom, guidance and abilities it has ready and available to share with me and the world now. I honour my soul for being more powerful, expansive and enlightening than I currently imagine. I allow myself to experience the magnificence of my soul, as an expression of the Creator through my being. Through this invocation I encourage you to recognise your magnificence, empowering the truth of your being. If there is anywhere within your being or reality where you feel you are lacking in any way, I, Archangel Azrael, invite you to realise that it is to the Creator that you direct your attention. Where there is lack of any form there is a separation with the Creator and an unwillingness to receive the Creator. When you recognise the presence of lack within your being or reality, you have the power to reconnect with the Creator, receiving the energies you have been missing from the Creator. You will receive the appropriate energies into your being which will reignite your being and awareness creating peace and a deeper understanding. A lack of something, whatever it may be is a lack of acceptance of an aspect of the presence of the Creator within you. Opening to receive, releases the blockage and allows you to return to a state of peace and balance. The Creator wishes for you to be fulfilled, whole and complete. The Creator wishes that this is your continuous experience upon the Earth. To embark upon this journey that is rightfully yours there is a need to be open to receive, to recognise when you do feel fulfilled, whole and complete as well as when you feel the presence of lack. These three actions will support you in experiencing the Creator fully in every moment of your reality. Being open to receive is to recognise that with the presence of the Creator you can create anything you wish in your reality while manifesting powerful transformations within your being. Receiving the Creator’s energy brings you into balance because you begin to view everything in your life and reality as an opportunity to commune with and enhance your relationship with the Creator. When you receive from the Creator anything is possible. You do not even need to understand what you are receiving. Instead gift and surrender that which is lacking to the Creator and then ask the Creator to download into your being the most perfect vibrations of Creator love, light and consciousness to restore your inner balance and relationship with the Creator in this matter. Whichever way you choose to imagine the Creator, feel, sense or acknowledge a connection with the Creator and a transmission of energy from the Creator to you. Breathe the energy into your being and awareness. Know that the Creator’s energy will synthesis with your entire being and reality. The synthesis will continue within your being; thus, the lack will dissolve. Each time your mind or attention is drawn back to the lack, instead remember you have surrendered the lack to the Creator and the Creator has delivered to you all that you need. The appropriate manifestation and shift within your being or reality will manifest with divine timing for you to recognise and experience. To recognise when you feel fulfilled, whole and complete in your everyday life, reality and spiritual evolution may feel like wishful or hopeful thinking. It is important to recognise that you are fulfilled, whole and complete always, even when you do not experience it at all. To remind yourself that you are in oneness with the Creator and are fulfilled, whole and complete is immensely powerful and can begin the restoration of your Creator understanding which is embedded within your being and body. Simply reminding yourself of your unique self as fulfilled, whole and complete, even if you do not at first believe it, will begin a beautiful healing process allowing you to see yourself as a beautiful expression and extension of the Creator. Gradually your thought processes and even the chemical reactions within your body will return to their origins; the purity of the Creator. It can be valuable to recognise the presence of lack in your being, reality and creations, as this ignites a reconnection with the Creator. It is invaluable to dwell on this, judge or criticise yourself in anyway. Simply be aware of the lack and recognise it as an opportunity. Lack may mean to you that there is something missing or that there is a shortage of something in your life or within your being. It can feel you have a need or requirement that is being unsatisfied. Lack is simply a misalignment with the Creator’s flow and often a miscreated thought process that does not serve you. When you can recognise any form of lack as not personal to you and not an experience of failure, you begin to see beyond lack and restore your balance with the Creator. You may wish to create a list of all the areas within your self and reality where you feel the presence of a lack of something, however small or large. This is not to depress you in anyway, it is simply to observe that which rotates around in your mind, sometimes with your awareness and sometimes not and yet remains. Consider that the lack of a physical object, person or situation, is not actually the problem nor the solution, simply an indicator of where there is a need to receive the Creator. With awareness you will be able to recognise the areas of lack as you go about your daily reality. You may also wish to recognise what lesson can be identified from the areas where lack is present. For example, if you lack a romantic partner, consider that you may be rejecting receiving the love of the Creator. If you lack abundance, consider you may not feel deserving of being in the flow of the Creator’s divinity. Each situation will demonstrate a new understating about yourself and your relationship with the Creator. Greeting and divine blessings I share with you to support your ascension journey now. I am the overseer and Logos of the Galactic Level, I receive the light of the Creator and deliver it to the Galactic, Solar and Planetary Levels of the Creator’s Universe. I blaze to you the silver golden light of the Creator’s vibration I embody and share with the Creator’s Universe. I come forth to share with you some insights into the Ascension period you are currently moving through. In these times there is a need to focus upon maintaining the balance and alignment of your being, the peace and love within you as well as a sense of purpose for your actions, reactions and thoughts. As you preoccupy yourself in these areas of your spiritual growth this will completely stabilise you as powerful waves of light charge through the Universe of the Creator and penetrate the Earth. These powerful energy waves are beginning now and will continue into the beginning of the New Year of 2019. The purpose of these energy waves is to jolt humanity into a new awakening and higher expansive awareness in preparation for the New Year. Jolts of awakening are essential to cleanse the collective consciousness of humanity and allow space for new wisdom and understanding to emerge. Many people who have not been interested in their health, the wellbeing of themselves and others and the spiritual nature of their being will feel drawn to exploring these fields with greater depth, perhaps for the first time. Others will feel that their being and reality is being cleansed of all that is no longer needed or that blocks the realisation of the Creator within. For some it may feel as if extreme transformations and shifts are taking place within their beings and lives, causing awakening and liberation as well as confusion and uncertainty. Those who are clinging to and resisting change, inner awakening and transformation will find the journey most extreme and challenging. The outcome will be that the vibration of the collective consciousness of humanity will rise allowing new wisdom and awareness to become present within people at a physical level on the Earth. Many of you are devoted to your spiritual evolution and remaining in the light of the Creator, for you the energy waves entering as a jolt will not feel extreme or shocking, however, you will experience the energy waves impact upon your being. As you focus upon remaining balanced and aligned, recognising the peace and love within your being and creating purpose in your actions, reactions and thoughts, you will experience an enhancement in all that you are as a spiritual being in a physical body. Your recognition of your expansive energy, inner enlightenment and united connection with the Creator will be empowered, enhanced and truly experienced for you upon the Earth. Focusing your attention upon your spiritual evolutions, especially the areas I, Melchior, wish to explore with you will stabilise you completely in the presence of the energy waves allowing you to be a source of support for others who are feeling unstabilise by the current ascension conditions. To remain in balance and alignment with your being is to harmonise with your true self. Harmony within your being manifests when you are aware of the light, love and wisdom that naturally flows from within your being. You are a beacon and expression of the Creator, there is so much within you waiting to be shared, whether with yourself or others. When you follow your inner guidance, allow yourself to follow your inner happiness and release yourself from self-imposed limitations, you become harmonised and in balance with your truth. Remaining in balance with yourself is to recognise when you are battling with yourself, judging or criticising yourself as well as blocking your inner guidance. Being in balance is to be aware of who you really are or seeking to discover who you are in your every day life. There is no need for you to have all the answers or to understand yourself fully, the simple desire or focus to will support you in remaining balanced and in harmony. Alignment with your being is to ensure you are connected with your soul and soul group, as well as your guides. This simply requires you to create a request each day or every few days for your entire being to be aligned with your soul, soul group and guides. Alternativity you can meditate to experience this fully. Alignment with the Creator to receive all the necessary Creator qualities and guidance will also benefit your ascension now. Alignment can be experienced as a request/ intention or during meditation, inviting the Creator to embrace you fully. Alignment and balance are especially important when you are feeling stuck, confusion or insecure. The energy vibrations and qualities of peace and love naturally exist within your soul and being. When you become entirely focused outside of yourself and into your physical reality you distract yourself from your inner peace and love as well as the strength and power these energies hold. When you recognise the peace and love within your being you view yourself and your reality with clarity, an expansive perspective and a deeper understanding of what is taking place. Without peace and love you look for answers outside of yourself, feel confused by situations or challenges in your life as well as close yourself off to opportunities and the divine flow of the Creator manifesting in your reality. The acknowledgement of your inner peace and love as well as focus upon radiating your peace and love allows for you to feel supported, loved and guided in every step of your life. Thus, you experience fulfilment, the joys of life and a deeper connection with those around you. You could say that love and peace are the foundations to your being and existence, take time to focus upon and recognise love and peace. Let your reactions be from love and peace and your creations born from the same. Become a beacon of love and peace, observing your life transform. Many light workers worry and concern themselves with discovering and living their true or soul purpose upon the Earth. Instead, I, Melchior, invite you to change your perspective. Give a sense of purpose to the actions you create, your reactions to yourself and others as well as your thoughts. You do not need to know your purpose instead choose what you wish to focus on and create, and then gift this purpose to your actions, reactions and thoughts. 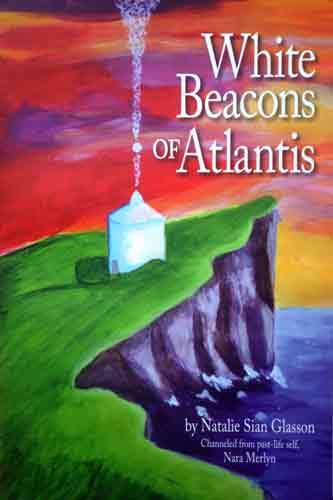 If you wish to be a beacon of love enthuse your actions, reactions and thoughts with love. If you wish to change your career, become more creative, or help those who are suffering, let this be your purpose, give the purpose you choose to your actions, reactions and thoughts. Your sense of purpose will empower you, supporting you in creating fulfilment in your life. When you create a purpose, your soul flows with greater ease and you easily find yourself achieving your soul’s purpose without realising it. Be a sense of purpose of your choosing in your life, rather than seeking your purpose. Each of these areas of focus, awareness and action will support you in easily remaining balanced as the energy waves penetrate the Earth. Even without your focus on the areas I have shared you will recognise the presence of balance and harmony within your being. You are being supported so that you may support others. There is a need to extend your compassion, love and understanding to those who feel off balance or confused in the coming weeks. Patience is required and an understanding that they are experiencing a deep cleansing and an awakening because of the new energy wave which has been labelled the ‘Jolt of Awakening.’ To extend anything other than love and peace to those experiencing turmoil would be a disservice to yourself and to others. It is time for you to realise your loving strength in your listening, forgiveness and patience, recognising the shifts and transformation this can support in yourself and others. Let yourself be a beacon of love and peace, you do not even need to say anything, it is time to simply hold the space for others to awaken. The Solar Level of the Creator’s Universe is represented by a copper golden colour and overseen by Helios and Vesta. The purpose of the Solar Level is to bring forth the balanced energy of the Masculine and Feminine vibrations of the Creator, giving birth to new creations born from balance and unity. The Solar Level supports the magnification, empowerment, and expansion of light and is likened to the radiant glow of the sun. We, the Angelic Kingdom, embody both the Masculine and Feminine energies equally within our energy fields, although we do not recognise the energies as either Masculine or Feminine, their unified creation is simply an integrated aspect of all that we are. In truth, we are unable to bring forth an idea or concept of separation within our essence. However, we recognise that understanding, discovering and remembering the presence of the Divine Masculine and Feminine is an integral aspect of the Earth Ascension School. There are many levels and dimensions within the Universe of the Creator where the separation of the Divine Masculine and Feminine are honoured and explored. As well as areas where the unity and integration of these two sacred aspects of the Creator are celebrated and experienced fully as an awakening of remembrance of the Creator. I, Archangel Uriel, wish to bring your awareness to the Solar Level due to the brilliant and awe-inspiring awakening and emanation taking place from this level of the Creator’s Universe. Helios and Vesta, the overseers and representatives of the Solar Level are bringing forth a new intention which is already in action at the Solar Level and is manifesting within the Planetary Level and earthly vibrations. The Solar Level is merging the Divine Masculine and Feminine at a higher frequency and vibration than ever before, this means that the light being created is sublime, powerful and impactful for all. 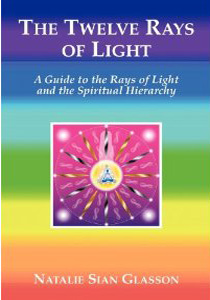 A higher frequency of synthesised light of the Divine Masculine and Feminine is available now for all to download in order to create a sacred activation and remembrance within your being. This will create an alignment with the energy of unity and oneness that will be breathtakingly inspiring promoting new understandings of yourself, reality and spiritual growth. Even more remarkable is that Helios and Vesta are receiving direct guidance from the Creator of intentions to be placed into the core of the Solar Level in order to give birth to new creations of unity. Thus, the Solar Level core is creating new manifestations, new energies and even a new reality of unity and oneness for all to explore. While the energy is being created within the Solar Level, every person has a direct connection with the Solar Level within their soul. Therefore, the transformations are already beginning to take place within your soul, radiating into your entire being and reality. Using the word, ‘reality,’ I, Archangel Uriel, am speaking of a view of self and surroundings. Each person and soul have a personal view of self and surroundings, even of the Creator. This view or reality is open to shifts, transformations and alterations, thus a reality is never the same, meaning a perspective can never be the same in any present moment. The Solar Level is creating a new reality of unity and oneness, this is a new view, perspective, understanding, and experience of the Creator’s union, this vibration has never been experienced within the earthly realms, Planetary Level and Solar Level. This signifies that humanity has consented through their soul to embody a transformation focused on unity and to let go of old concepts and ideas of what unity and oneness is and how it is in action through them. Imagine a new idea of what unity is, how it is to exist as and emanate unity, as well as how it would influence your life. It is impossible to imagine what a new perspective of unity would be like and how it would impact your awareness and inner wisdom, this is because it has never before been experienced in these dimensions. However, you do already embody the new reality of unity because you have existed in other dimensions of higher frequency than the Solar Level and you are an embodiment of all that is the Creator. The process is a remembrance experience for your soul and a new activation and embodiment for your physical being. I, Archangel Uriel, wish to invite you to download the energy of the new reality of unity being created within the Solar Level core. It doesn’t matter if you do not understand it or that you cannot comprehend what it would be like to perceive from a space and state of balanced Divine Masculine and Feminine. Simply allow yourself to be a receiving source of the new reality being created. During meditation or quiet time, imagine that you are existing within a copper golden chamber of light, before you is the most brilliant and exquisite sun, beaming upon you. This sun is safe for you to gaze into and receive its sacred rays of light. Allow yourself to bathe and receive the light of the Solar Level core for as long as feels appropriate. Imagine, sense or acknowledge that from the centre of the Solar Level core existing before you a new manifestation of energy emerges, the Solar Level is giving birth to a new reality of unity. The Solar Level will gift this energy to you in the most appropriate way for you. Please be aware of any symbols, visions, insights or sensations that dawn as you receive the download of light. Receive for as long as feels appropriate. Next, take your focus into your Soul Star Chakra above your head and acknowledge or simply know that your soul is activating, bringing forth remembrance and truth into your current embodiment. Follow the stream of your soul light from your Soul Star Chakra down through your chakra column and into your Earth Star Chakra below your feet. Acknowledge that you are bringing the new reality of unity and oneness from your soul into manifestation and grounding within your being. Your soul will rewire your entire being, creating new chemical reactions within your body that will shift the programming of your physical body and awaken new possibilities within your being at a physical and spiritual level. You are giving your soul permission to upgrade your entire being and energy field in order to allow you to exist with a new view of yourself and your surroundings. Remember that there is no need for you to comprehend or understand how your new reality of unity and oneness will appear. Simply know the energy has been downloaded and the understanding will dawn with divine timing. It is not for you to comprehend, more so it is for you to be aware of the presence of balance, unity, oneness, harmony and the synthesis of the Divine Masculine and Feminine within your being and reality. When you are aware of the opposite, invite your soul to bring forth the new reality of unity and oneness into the area, situation, experience to manifest transformation and further ground the energy into your being and everyday life. Visit Natalie’s extensive video collection of channeled messages.